・Monden, Y. and Tahara, M. (accepted) Plant transposable elements and their application to genetic analysis via high-throughput sequencing platform. The Horticulture Journal. 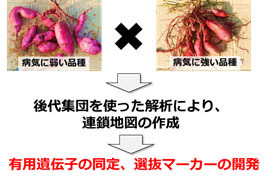 ・Monden, Y., Hara, T., Okada, Y., Jahana, O., Kobayashi, A., Tabuchi, H, Onaga, S. and Tahara, M. (accepted) Construction of a linkage map based on retrotransposon insertion polymorphisms in sweet potato via high-throughput sequencing. 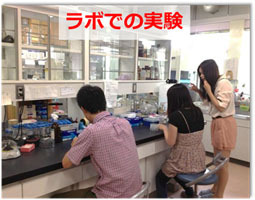 Breeding Science. ・Monden, Y., Yamaguchi, K. and Tahara, M. (2014) Application of iPBS in high-throughput sequencing for the development of retrotransposon-based molecular markers. Current Plant Biology 1, 40-44. ・Monden, Y., Yamamoto, A., Shindo, A. and Tahara, M. (2014) Efficient DNA fingerprinting based on the targeted sequencing of active retrotransposon insertion sites using a bench-top high-throughput sequencing platform. DNA Research 21, 491-498. ・Monden, Y., Fujii, N., Yamaguchi, K., Ikeo, K., Nakazawa, Y., Waki, T., Hirashima, K., Uchimura, Y. and Tahara, M. (2014) Efficient screening of long terminal repeat retrotransposons that show high insertion polymorphism via high-throughput sequencing of the PBS site. Genome 57, 245-252. 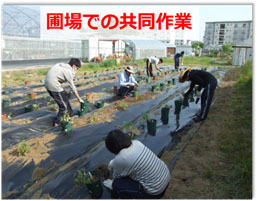 ・Monden, Y., Takasaki, K., Futo, S., Niwa, K., Kawase, M., Akitake, H. and Tahara, M. A rapid and enhanced DNA detection method for crop cultivar discrimination. Journal of Biotechnology 185, 57-62. ・Monden, Y., Takai, T. and Tahara, M. (2014) Characterization of a novel retrotransposon TriRe-1 using nullisomic-tetrasomic lines of hexaploid wheat. The Scientific Reports of the Faculty of Agriculture 103, 21-30. ・門田有希・高井健・田原誠・梅野佑太・中村遼太．(2014) 新規活性型レトロトランスポゾンTriRe-1の挿入多型を利用した、High-throughputなコムギ品種判定マーカーの開発. DNA多型 22, 60-65. ・Naito, K., Monden, Y., Yasuda, K., Saito, H. and Okumoto, Y. (2014) mPing: The bursting transposon. Breeding Science 64, 109-114. ・秋竹広翔・田原誠・門田有希・高崎一人・布藤聡．(2013) イチゴにおけるレトロトランスポゾン品種識別マーカーの開発. DNA多型 21, 64-72. ・門田有希・山本彩加・田原誠．(2013) 活性型レトロトランスポゾンを利用したアントシアニン含有紫サツマイモ品種識別用DNAマーカーの開発. DNA多型 21, 47-54. ・高井健・田原誠．(2012) コムギにおいて品種間挿入多型を示すレトロトランスポゾン配列の探索. DNA多型 20, 80-90.